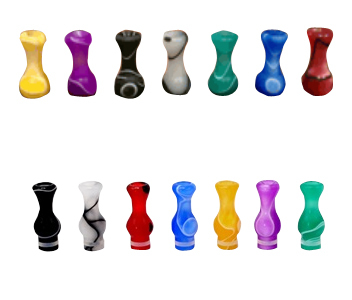 This drip tip is calabash-shaped and with fabulous abstract smoke patterns scattering all over. The calabash shape is customized for the comfortable feel of your mouth. It is also multicolor, so you have more options. Compatible with model 510 and 901 atomizers and cartomizers.